Thank you for stopping by Friesen Chevrolet the home of Hassle Free Shopping and NO DOCUMENTATION FEES. No documentation fees could save you hundreds over other dealers. "If you're smilin' while you're drivin' - Friesen is the Reason. Call or stop by 402-773-5538 - our team is here to make your next vehicle purchase a great experience. 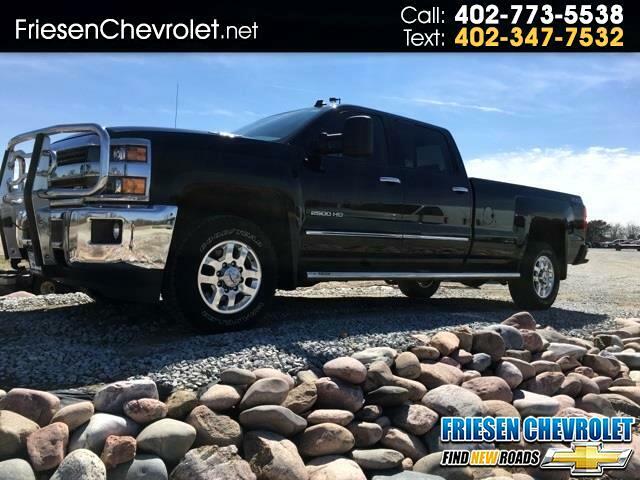 2015 CHEVROLET SILVERADO 2500 LTZ - This truck is a 4WD ong wheel base. Good News! This certified CARFAX 1-owner vehicle has only had one owner before you. It has a clean CARFAX vehicle history report. You can see in the pictures the Carfax is not the only thing clean on this truck. Very nice with a grill guard, leather interior and a powerful diesel engine. You can take the family in this truck and have plenty of room.